I only knew about the term deltiology few days back after attending a lecture by the Filipinas Stamp Collectors' Society Historical about historical places of Manila through postcards. I do postcrossing and was active in the past but not these days. Deltiology (from Greek δελτίον, deltion, diminutive of δέλτος, deltos, "writing tablet, letter"; and -λογία, -logia) is the study and collection of postcards. Professor Randall Rhoades of Ashland, Ohio, coined a word in 1945 that became the accepted description of the study of picture postcards. It took about 20 years for the name to appear in the dictionary the first time. Compared to philately, the identification of a postcard's place and time of production can often be an impossible task because postcards, unlike stamps, are produced in a decentralised, unregulated manner. For this reason, some collectors choose to limit their acquisitions to cards by specific artists and publishers, or by time and location. (source - http://en.wikipedia.org/wiki/Deltiology). Postcards indeed are very interesting and significant historical artifacts. 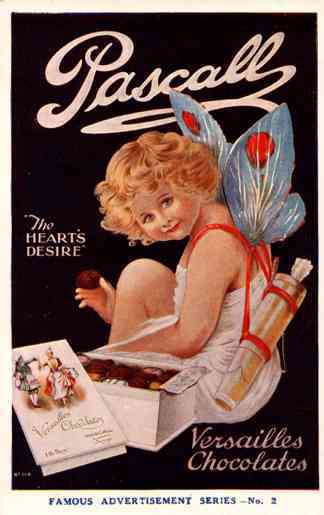 So I thought why not collect some of these postcards about chocolate and blog about them here at the same time. 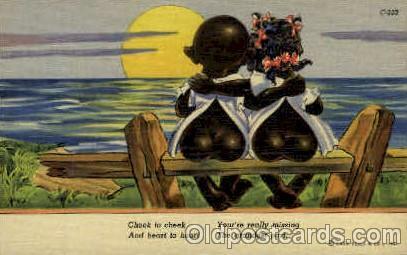 The foto above is from an online site that sells vintage postcards.